After weeks of Christmas festivities and more alcohol than I'd care to admit, I was in dire need of sleep. But on reflection, I reminded myself that it's only Christmas once a year, so instead I set my alarm early (well... early by my standards!) and sought out the London Christmas markets - a must see if you visit London over Christmas. 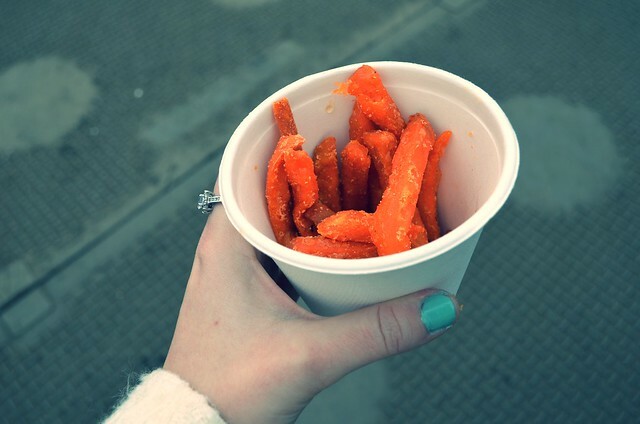 First stop: Winter Wonderland. 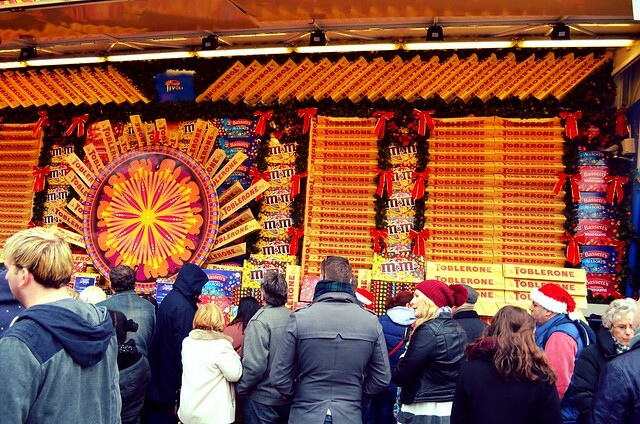 Despite going back every single year, Winter Wonderland never loses it's charm. 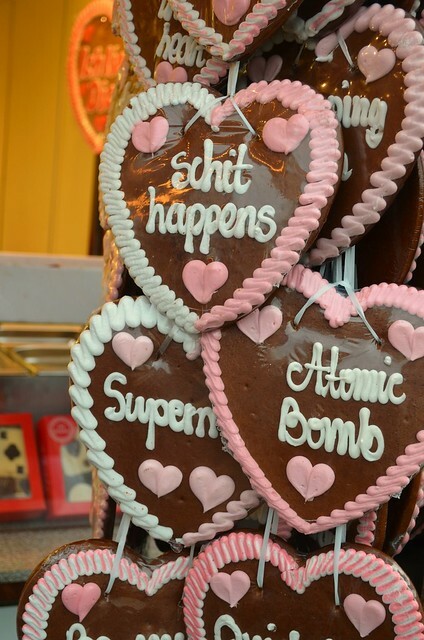 There's everything you could ever need - food, craft stalls, ice-skating and rides. 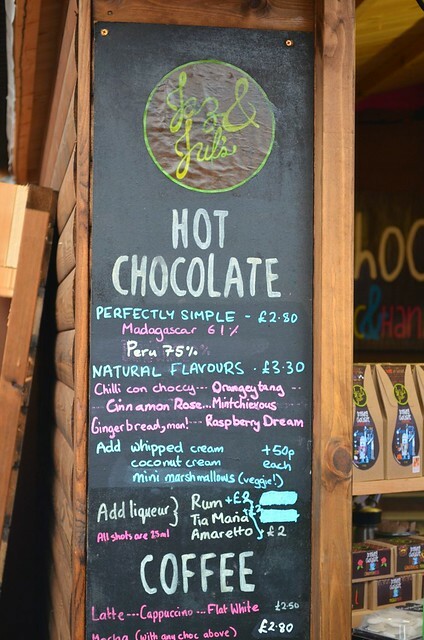 When you become hungry, there's so many different types of food on offer, it's quite daunting! In my personal opinion you just can't beat a bit of pork - whether it's hog roast or currywurst. 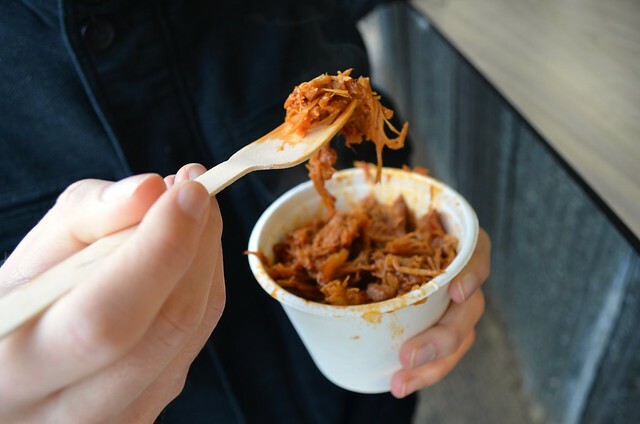 This time we opted for a cup o' pulled pork with a side of sweet potato fries which were very satisfactory given the cold snap in Hyde Park that day. Winter Wonderland is the perfect place for Christmas drinks with friends. 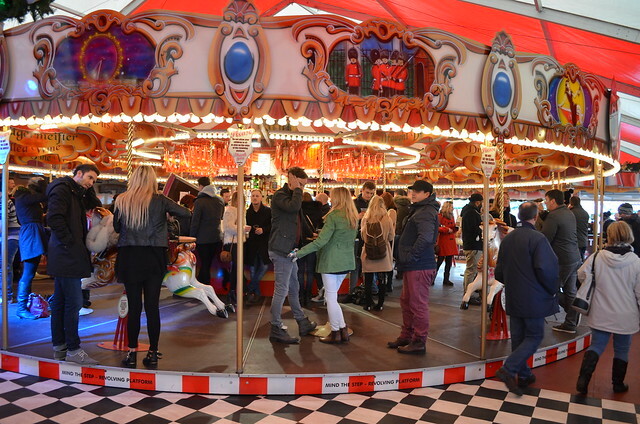 My favourite places are the alpine / wooden chalet type huts in the village and the carousel bar which actually moves! By about 1pm Winter Wonderland was absolutely heaving with people, so we decided to venture elsewhere. 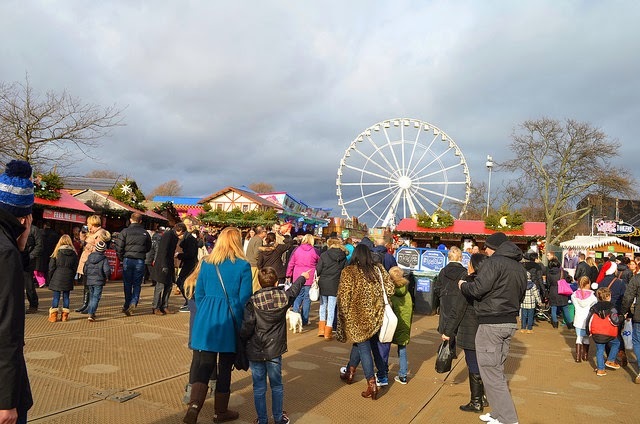 Just a short tube ride away, we moved to the South Bank to check out the Christmas markets. It was the perfect time for a hot drink. 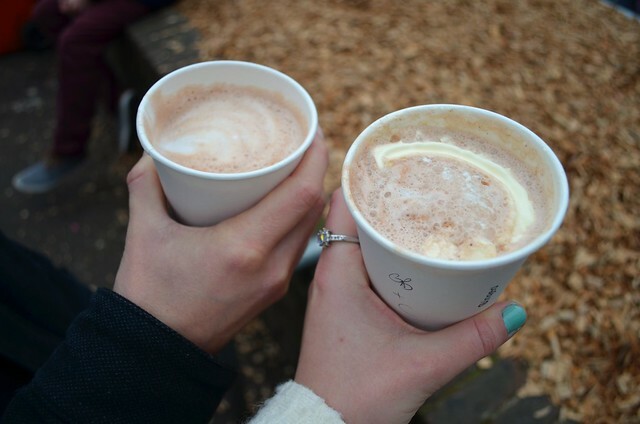 We found two ladies with a hot chocolate stall who sold a variety of different flavours including; chilli, raspberry, cinnamon rose, orange... We had mint hot chocolate and gingerbread hot chocolate which warmed our hands up nicely. By this point it was growing dark and getting chilly - which sadly meant that our hot drinks didn't stay hot long... :( Martin invited me back to his where we had plenty more hot drinks and caught up on episodes of The Walking Dead. SO GOOD! 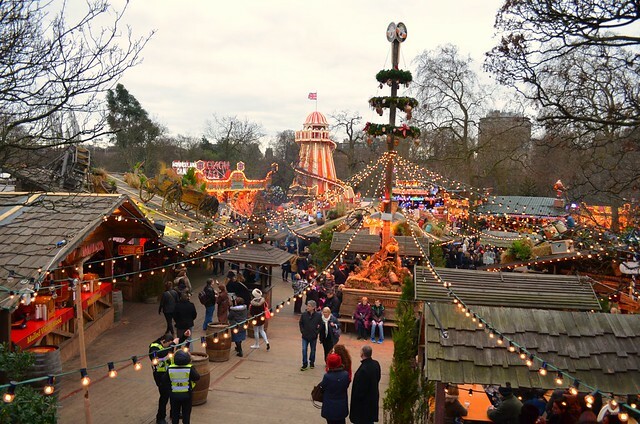 Have you visited any of the London Christmas markets?